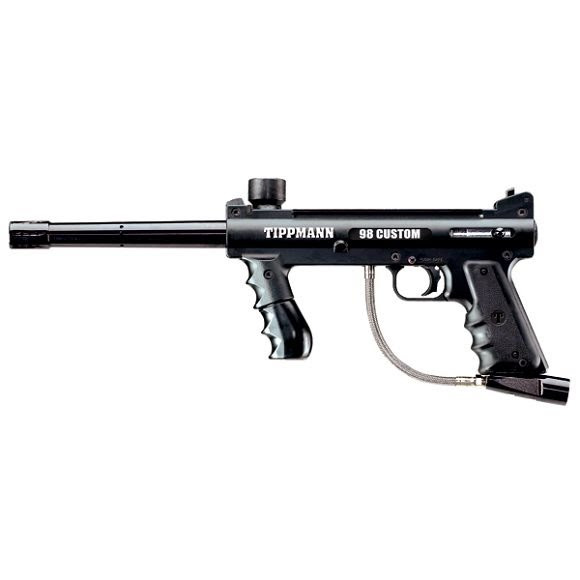 Tippmann's new 98 Custom Platinum Series is now easier to upgrade, modify and maintain. Tippmann &apos;s new 98 Custom Platinum Series is now easier to upgrade, modify and maintain. The new Platinum Series maintains the core features of the original 98 including all aluminum die cast receiver, quick-release feeder elbow and a 200-round hopper. It&apos;s fully compatible for CO2, compressed air, or nitrogen.